In the village of Cassadaga, NY, the village park is located at the corner of route 60 and Maple Avenue on the northwest corner. The park is a beautiful introduction to people to the village when they arrive from any direction. On Memorial Day, the opening ceremony is held at the park, with music by the school band, introductions and a prayer in remembrance of our military people. The area has not always been the village park. 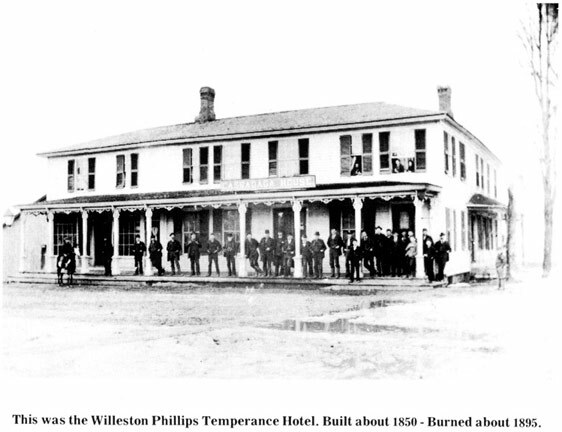 About the year 1850, a very large hotel was constructed, and known as the Willeston Phillips Temperance House. Unfortunately it burned in 1895, and the foundation was left for many years. A three rail white fence was constructed around the foundation for safety sake, and eventually the foundation was filled in. When the park was first constructed, there was a bandstand, and a large wooden flag pole. The project of the local scouts was to sand the flag pole before it was put in place. Many band concerts were held there, and popcorn could be purchased, provided by one of the local residents. When the beach area was opened on Park Avenue, the bandstand was moved to that location to be near one of the beautiful Cassadaga Lakes. Willeston Phillips was a part of the Phillips family, who moved to the area in the early 1800's from Massachusetts. The Phillips family was a large family, and on North Main Street was a doctor, dentist, attorney, grocery store, and a drug store in Sinclairville, all by the Phillips family. The Phillips family is very instrumental in the development of the Cassadaga and surrounding area. In the Cassadaga Cemetery which was formed in 1817, there is a large plot of land in the very first section closest to Maple Avenue which is known as the Phillips Circle. 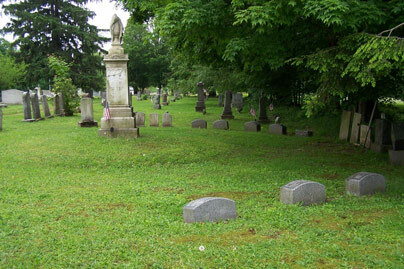 In the center of the circle, is a large monument remembering the parents and grandparents, and surrounding the monument, there are 36 graves of Phillips family members. The first burial was in 1842 and the last burial was in 1958. Shown in the photograph is the Willeston Phillips Temperance House, which was located at the corner of Main Street and Maple Avenue in the Village of Cassadaga.